Inspired by Maxine Waters' usage of this phrase, I designed this piece in stainless steel. 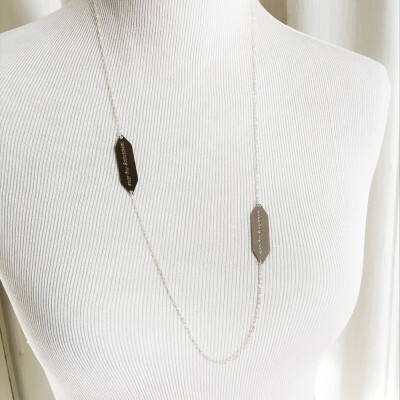 A classic station necklace with an edge. Versatility is this necklace's middle name. Wear it with the focals side by side or off center, or layer with other necklaces to create your own statement. Single focal Size: 1 5/8" x .5". Materials: stainless steel, sterling silver.